Drew began as a volunteer at LACTV in the late 90's. He produced short films and documentaries and also helped bring many live local sports to air when the process involved a lot more equipment than it does today. 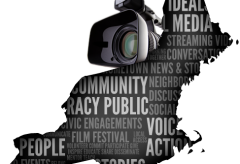 With a background in film and television already, the experience acquired at LACTV led to a career as an editor for a small video production company in Nashua, NH. Drew returned to LACTV in 2003 as a full time employee in the role of Public Information Coordinator. He ensured (and still does today) that all public meetings are recorded, scheduled and played back while making it possible for the facility to a expand its hours into the evenings and weekends. 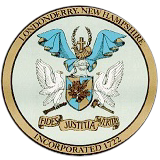 He also produced Local Time - a series of programs covering the responsibilities of each department in the Town of Londonderry. After four years as Assistant Coordinator of LACTV, Drew was promoted to Director of Cable and Technical Operations in 2012. In addition to production and editing, he oversees all technical aspects of LACTV including engineering, repairs and upgrades. Drew grew up in Londonderry N.H. He has a B.A. in Journalism from the University of Maine and served in the United States Air Force for 7 years.